Those are 3 big ones. What could possibly follow? Well, it comes on a small device, but it’s a big deal. Unless you’re an outlier, your smartphone has changed your life, and now it’s changing your AMS. 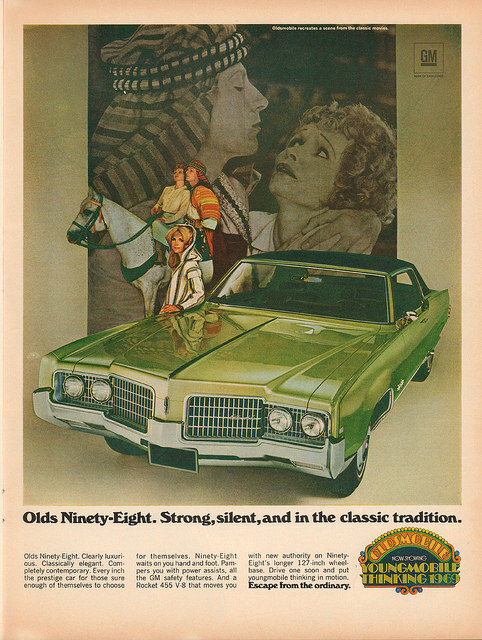 This is not your father’s Oldsmobile. A mobile-friendly website is no longer a “nice to have.” It’s a must have. Way back on April 21, Google changed the algorithm it uses for search rankings. Mobile-friendliness is now, according to Google, a “ranking signal.” In fact, Google is downgrading the search ranking of sites that aren’t mobile-friendly. Ouch. If you haven’t been paying attention, you need to—now. Tip: Get your hands on a mobile strategy with our whitepaper, Going Mobile. Most likely, your website analytics show a large amount of traffic coming from mobile devices. Or, they may not: if someone used their phone to access your mobile-unfriendly site and had a frustrating user experience, they’re not going to use their phone to visit again. Buh-bye. Your AMS should be mobile-friendly too. For your constituents, any member-facing functionality like self-service pages and web pages that might be linked to an order or registration in your AMS must be optimized for mobile and allow the member to complete the desired action. For staff, “back office” functionality that performs on the fly without hiccups is critical when they’re on the road for an event like your annual meeting; for example, staff should be able to use their tablets or phones to access registration or product sales data. What is their mobile capacity? Is mobile in their roadmap? Making systems mobile-friendly (responsive) is a huge investment, but it needs to be done. We’re seeing some AMS companies embarking on this shift by rolling out mobile apps for specific functions. And, a new AMS vendor is entering the market with an entirely mobile-based product. If mobile is important to you, make it a part of your selection criteria. Include mobile functionality in demonstrations. Don’t just take the sales team’s word for it; use your own device to check out the mobile functions that are important to you.